hi, Obachan! would you believe I've been a regular reader of your blog for almost three years? so let me be the first one to greet your blog a Happy Blog Birthday this coming April. you need to host a blog party! I’m going to email you the answer pretty soon. It is an interesting question. 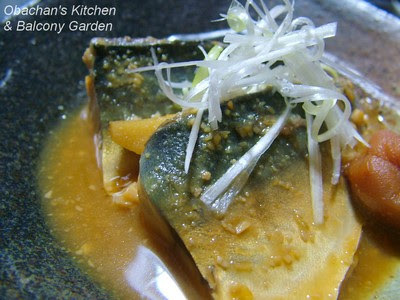 any progress on a recipe for saba no miso-ni? would love to prepare it for my family, and don't remember exactly how it goes -- last time i made it was 35 years ago!